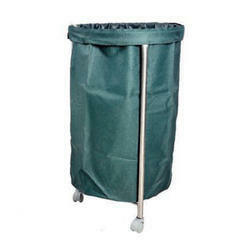 Manufacturer of a wide range of products which include round linen trolley. Complete SS Tubular frame work mounte on 100 dia. castor wheels. CNC machine pressed & double bent fix three MS Sheleves. Looking for Round Linen Trolley ?